This recipe is for our loyal customers and readers. 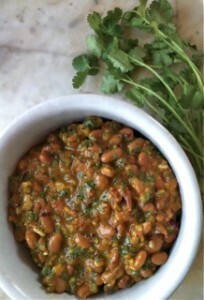 You’ve helped us add many “new” favorite recipes using Randall Beans to our digital repertoire. For many families, Randall Beans are a tradition that spans generations, and we couldn’t be more proud. Do you still use your grandma’s recipe for Randall Beans ham and bean soup? 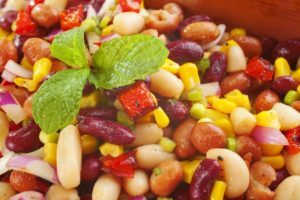 Maybe you have your own bean salad that knocks ’em dead at every potluck. 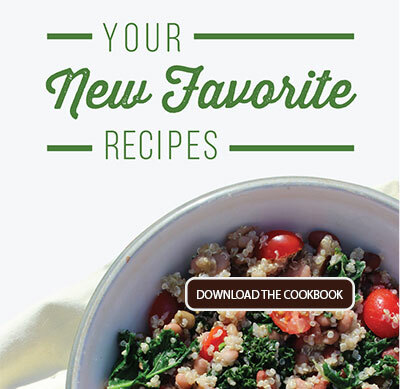 Whatever your secret weapon recipe is, we want to hear about it! Submit your recipe, and you could be featured in a future blog post. A few years ago, Gail S. sent in the recipe below. It’s a bean focused take on a classic steamed spinach dish and we absolutely love it. The herbs and spices add many flavorful layers to the white bean and spinach base. This recipe is a great addition to any large family dinner. We still enjoy this side dish on a regular basis. Lightly cook garlic in small amount of olive oil in large skillet. Add fresh spinach and cover pan for about 3 minutes or until spinach is wilted. Add beans and chicken broth and cook until heated through. You may add cooked bacon, cooked sausage or chicken breast. 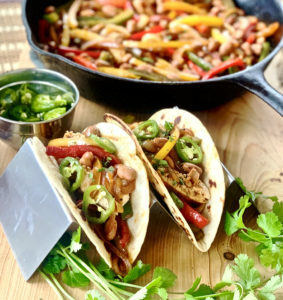 This recipe can be made with either Randall Beans Great Northern Beans or the Randall Beans Organic products.